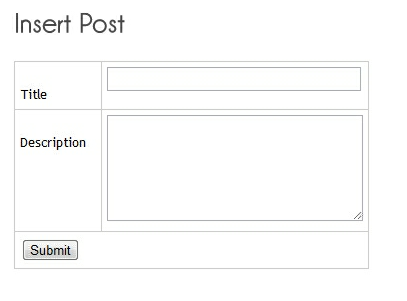 Hi, In this article I will show one example plugin for making post entry from wordpress front end. In this sample I have created one sample shortcode for displaying plugin on front and in short code function I have added form to display and before that if post is submitted we will insert the post into database. Next Next post: What is Content Management?